Got something you want to shout about? 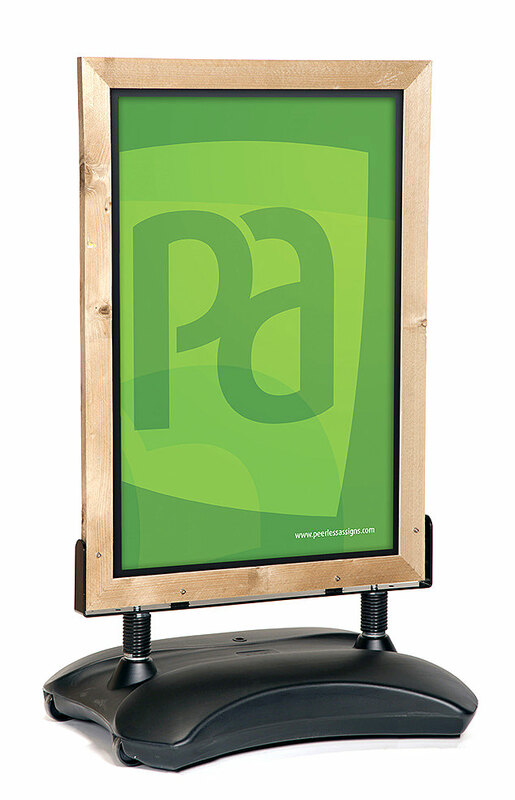 Our Forecourt Signs start at an A1 poster size and go all the way up to a 60” x 40”. 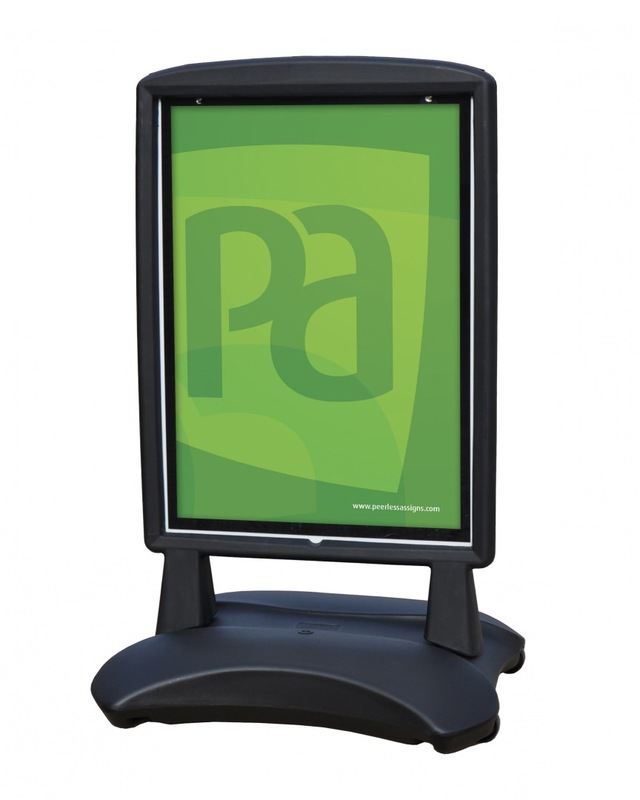 Ideal for car parks, retail parks, large pavement areas or locations exposed to the elements. Water filled bases, tough build quality. 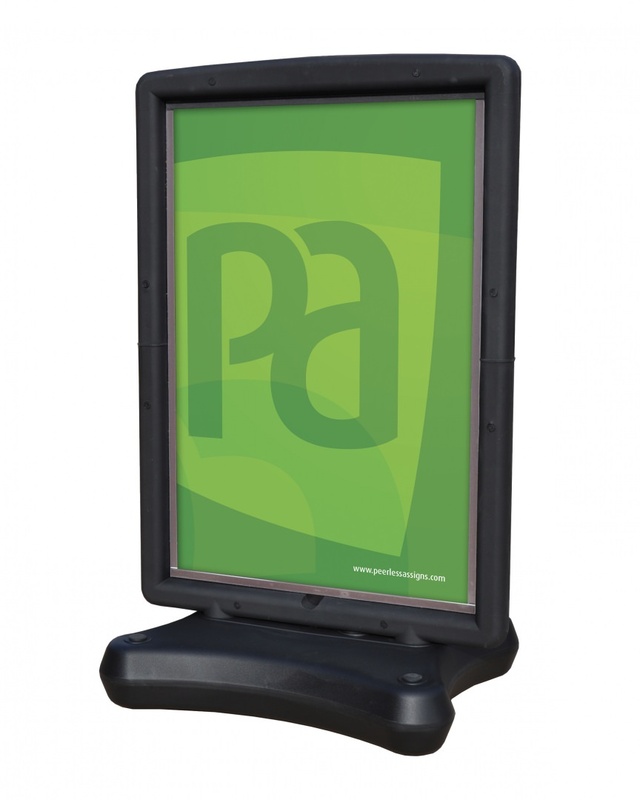 Peerless-Assigns are able to create bespoke forecourt signs for your needs. This will allow you to deliver a message to your intended audience in a way suitable to your business. 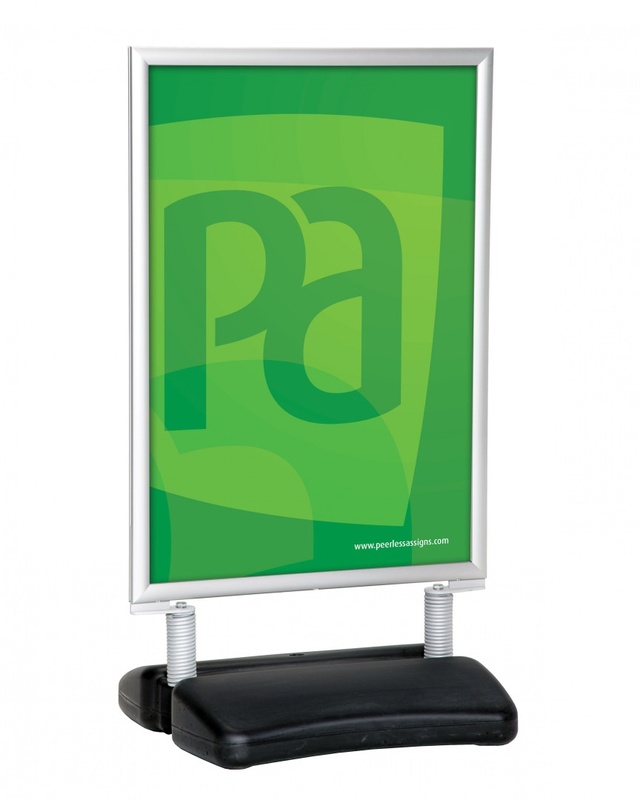 We can create the signs based on your specifications or we can use standard sizes and formats. As well as customising the size, we can also create signs using bespoke graphics. Our Stormforce forecourt signs are the flagship product of Peerless-Assigns and are tough, robust and simple to assemble. Ideal for outdoor environments, they feature heavy water-filled bases to protect against theft and the forces of nature. They are available in a variety of sizes, ranging from A1 to 60″ x40”. 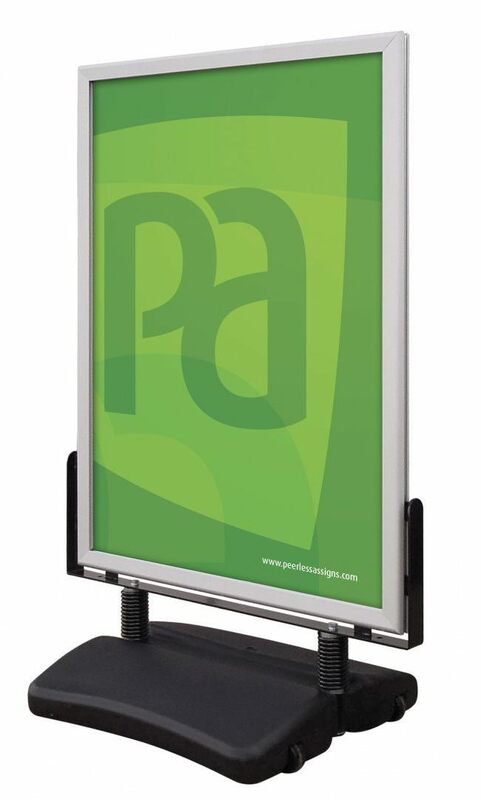 Our Stormforce signs come with front opening snap frames or magnetic closure systems. This makes changing posters quick and easy. All of our Stormforce signs carry a one-year guarantee. Whether you’re a local bakery, a small nightclub chain or a major high street retailer, you’ll garner attention for your products and messages with a robust signs from Peerless-Assigns. We will provide you with quality signage for your business. We aim for next day delivery on orders placed by 12 noon. 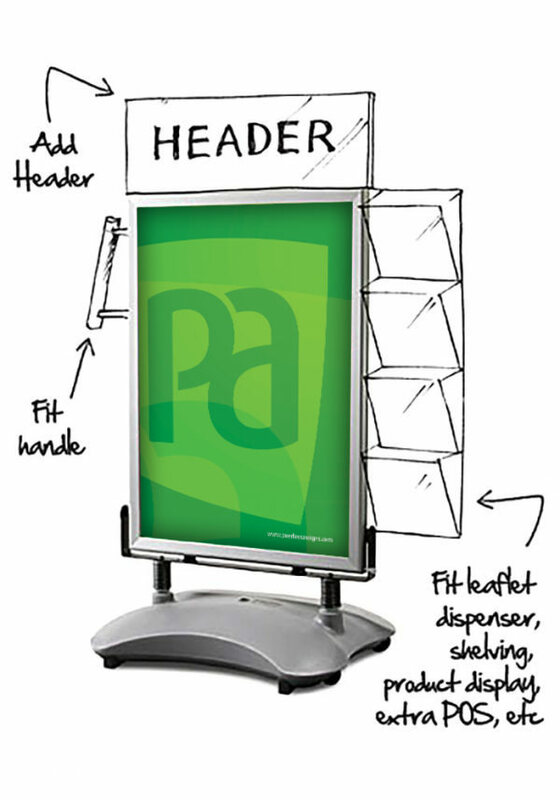 At Peerless-Assigns we aim to offer quality products and designs, value for money and a friendly, efficient service.